Once you've got your technology and systems all set up, the resources needed to research and write up a bid, and an opportunity that's a fit for you, the next step is to...get to work on your tender. 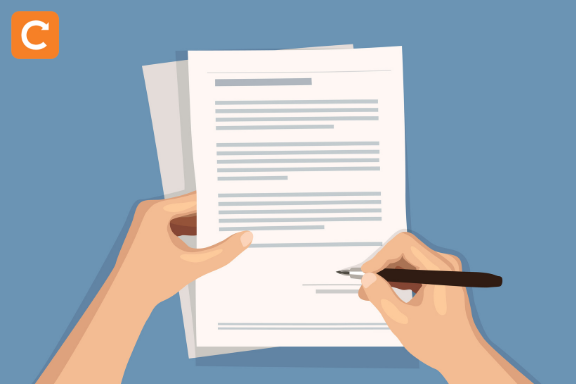 In our last post, we talked about how to know if you're ready to tender for a contract, and how to determine whether a contract is a good opportunity for your field service business. But what should you put in your tender? The obvious answer is to follow the guidelines set forth by the buyer. But remember, a tender's not just a dry document full of data! Though you have more creative license in a private sector tender than a public sector one, a tender can also be considered a sales pitch for your business. Offering more than the bare bones data will help you stand out among the competition and win the contract. Here’s how...and also be sure to download our free Tender Writing Checklist to help you write your winning bid. What should I put in a tender? Actual answers. Make sure that you’re answering the questions the buyer is asking, not the questions you want them to be asking. Backup for your facts. Every statement you make in a tender needs to be backed up with hard data and stats. For example, instead of simply saying you have a high first-time fix rate, figure out what your first-time fix rate is and compare it to the industry average. Less "we," more "you." Instead of just bragging about your business, talk about how you can benefit the buyer. Added value. Offer ideas, suggestions, and extra analysis to show that your business has a lot to offer beyond the bare minimum needed to complete the job. Read on for more detailed information (and examples) on each of these suggestions. 2. Backup for your facts. You know your customer service is the best, your first-time fix rate is the highest, and your engineers are the most skilled. But how can the buyer verify this information? No backup: We have the highest first-time fix rate in the industry. Backup: According to data from our field service management software, our first-time fix rate is 89%, compared to what Plumbing and Heating News reports as 75% for the industry as a whole. No backup: Our engineers are the most skilled in the area. Backup: 90% of our engineers have X certification, compared with 70% for the industry as a whole. No backup: We pride ourselves on offering the best customer service. Backup: Our business has won the "Best Customer Service award" from the National Customer Service Association five years in a row, and we have a Net Promoter Score of 80, which is considered world class. In the first post of this series, one of the readiness-to-bid requirements was that you have someone on board who knows how to do research. That's because backing up every statement in an extensive tender takes excellent researching skills. MORE READING: Four Ways to Increase Your Chances of Winning the Bid, Construction Executive magazine. 3. Less "we," more "you." Yes, the buyer needs to know all about your field service business before awarding a contract—but that doesn't mean a tender is all about me, me, me. Bragging about how great your business is, instead of how you can meet the client's needs, is not a winning strategy. Make the buyer’s job/life easier. Help the buyer save money. Help the buyer save time. Reduce risk for the buyer. Make the buyer’s tenants of customers happy. Here are some examples of ways to turn "me" into "you." "Me": Clients like X, Y, and Z turn to us for all their maintenance needs, and say we're the best business they've hired. "Me": Our company boasts the most skilled engineers in the industry. "You": Our engineers have the skills to take care of your particular needs. For example, your units have Worcester Bosch boilers; five of our engineers specialise in that particular brand. "Me": We pride ourselves in offering the best customer service. "You": Our engineers' excellent customer service skills will help your tenants feel confident and safe. In other words, take whatever is great about your business and flip it around into how it can help the buyer. Add the data you dug up through your search to back up those facts, and you have a winning combination. In a sea of similar bidders, businesses that offer extra value will rise to the top. Include ideas for how to solve a problem. Offer an analysis of their future needs. Point the client to additional helpful resources. When others are doing the bare minimum it takes to fulfill the contract, your business will stand out as exceptional. If all of this sounds overwhelming, look into tender trainings like the classes offered by B2B Quote. And remember to download our free Tender Checklist below to ensure you have everything you need in place to go after tender opportunities—and win the contract.